We have our hearts set on pretty pastels in the home this month. 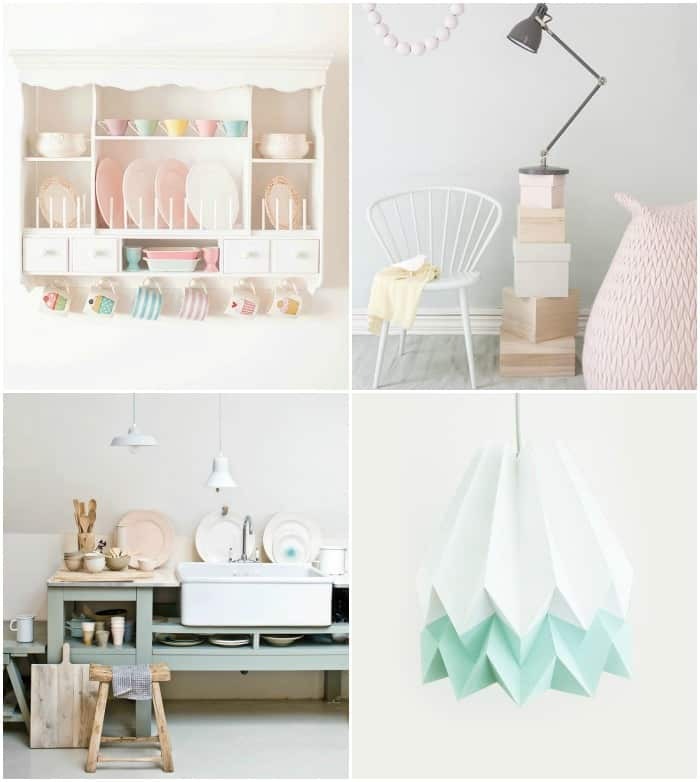 Bright, spring kitchens, colorful pastel playrooms, soft pastel dining rooms, we love it all. I find that I tend to gravitate towards the more muted rooms with a pop of pastel color, but that’s not to say I don’t dream of having a pastel kitchen with a mint refrigerator and rows of pastel bowls. Be inspired to incorporate spring pastels into every room, and then share a photo with us on our Facebook, Twitter, and Pinterest board. Paint a room in the house with pastels. Amanda from Oh My Little Dears shares every color in these paint buckets. These beautiful pillows from Anthropologie are sadly no longer available, but they now have these striped beauties. Decorate the dining table with pastel cups and bowls that match your spring flowers. This pastel cabinet screams ice cream socials and tea parties. The light pink and gray room is a lovely example of how to use just a touch of pastels to liven up a space. I dream of having this perfect pastel kitchen. Orikomi makes the coolest origami pastel lighting. This room by Linda Ahman can easily grow with your child. It’s whimsical and childish, yet still modern. Book covers and magazines make for a great way to bring in pastel tones. This dining room is a perfect example of that. You could also get crazy this spring and paint your cabinets to complete the look. 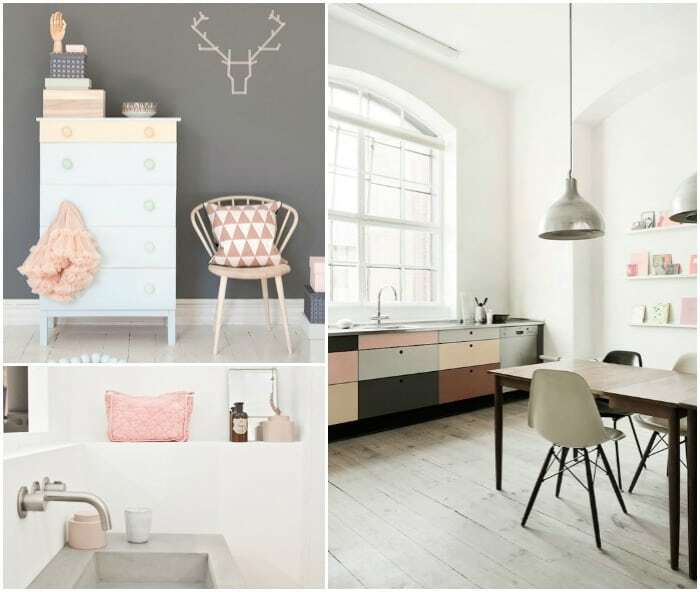 Incorporate pastel into a room with little accessories, just like in this bathroom. Pick out your favorite pastel color and design a new lamp out of the 150+ colors available at Lamps Plus. 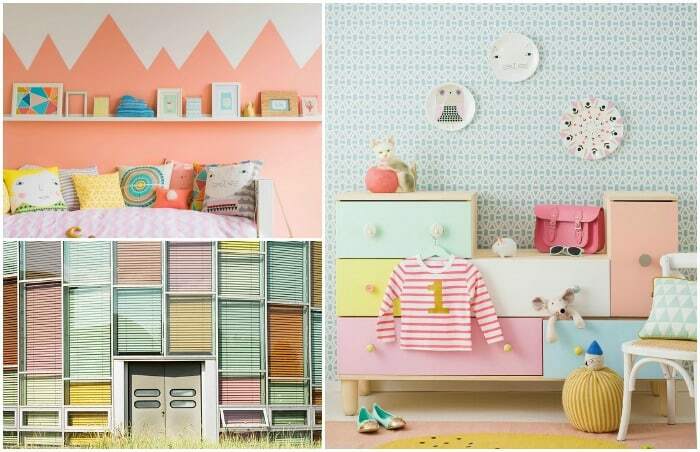 Bright pastels can make a child’s room cheerful and inviting. After seeing this photo I’m on the hunt for pastel blinds, and a house with a wall of windows (the second part might be a bit harder to find). 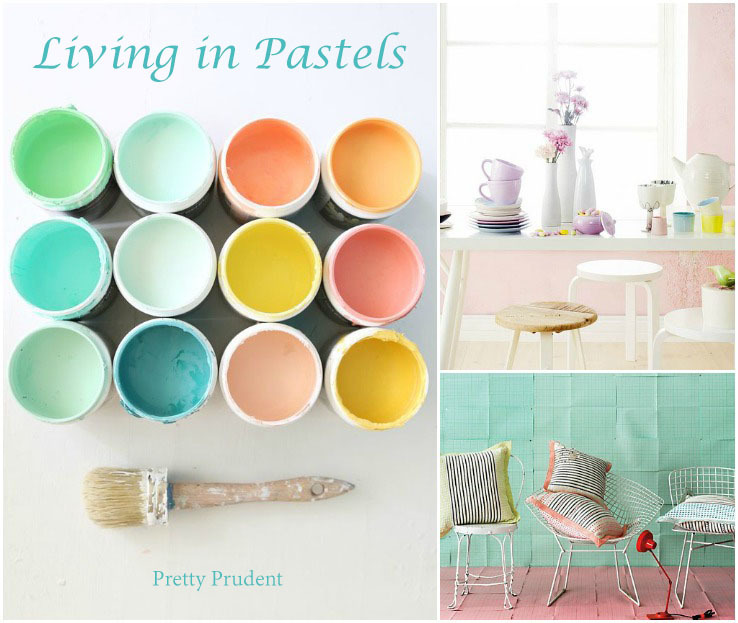 How are you bringing pastels into the home today?